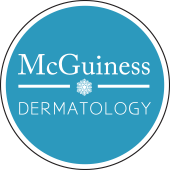 As for me, I go see McGuiness Dermatology in the DFW area. If you follow me on Instagram, I’m sure you’re familiar with them– I go somewhat frequently because I love the procedures the perform on my skin, and because frankly I love the atmosphere and staff so much! They also have 7 locations around Dallas & Fort Worth, so there is always one nearby. I used to see them twice per year for skin checks and general maintenance (FYI: this is basically the bare minimum of what you should be doing)– I have moles on my stomach and neck and need to check them regularly to make sure that they don’t change in shape/size/coloration. Truly, guys, I cannot emphasize the importance of mole checks enough… It could be the difference between life and death!!! And make sure your man does this, too, by the way– statistically, men tend to forget to have their skin looked at. Anways, needless to say, I started going to the dermatologist much more frequently once I opened my eyes to ALL that they can do for you, and am now in there just about every other month. Immediate results. Makes you feel like a goddess for about 10 days. The day after Hydrafacial you literally feel like a supermodel; your skin glows. I get this done about once per month. Done regularly, it keeps your skin super clear and you won’t get breakouts in between treatments. Long term results!!! Super quick procedure (under 30 min). Minimal discomfort, no big deal. Fights wrinkles, uneven texture, scarring, stretch marks. Basically, little micro needles will cause tiny wounds to the skin, which will then initiate the skin’s natural healing process, improving the skin’s texture and appearance. Minimal downtime. I usually will hide out for a day afterwards because your face is red and a tiny bit puffy, so I will normally get this on a friday. Pro tip: Don’t put makeup on afterwards for about 24 hours. Basically, this is like a non-invasive face/neck lift, using ultrasound!! The results are TRULY amazing. Notable discomfort, I’m not going to lie. Especially on the chest. But hey… Sometimes, beauty is pain. No downtime! But it does take a few months for to see maximum results, so be patient. Save up for this one ($$), but girllll it is worth it. Bonus if you go to the McGuiness group… The staff and providers are all huge animal-lovers AND simply like to keep informed about their products, and 90% of the products they recommend & sell are cruelty-free!!!! This is huge. Skincare that you can take home and use every morning/night is key to longterm skin youthfulness, clarity, and health. 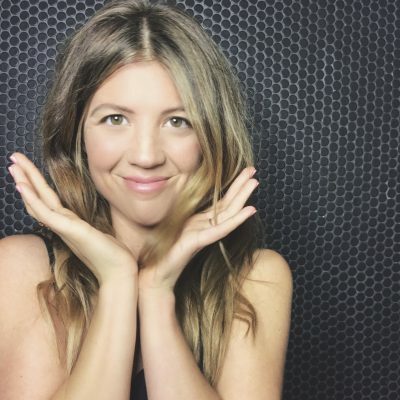 Karen Adams, the (plant-based!) PA I see pretty frequently, is PASSIONATE about putting together skincare regimens for people based on their specific skin type, wants, and needs. For me, she uses cruelty-free, anti-aging products that won’t break me out! This is so important, guys. Don’t forget sunscreen daily! So crucial. I like to get a separate facial sunscreen so it won’t block my pores. I picked up the Elta MD brand at McGuiness Dermatology, because it is cruelty-free, vegan, won’t break you out and is meant for the face. Super luxurious-feeling, too. I will probably spring for this right before the wedding. Makes your makeup go on really smoothly. I’m just personally not ready for this! Iffy animal-friendly statuses even on those who claim to be cruelty-free… I don’t want to risk it. If you ARE into this, it is SO important to find a good health care professional to execute. It can be done beautifully (Karen Adams‘ patient photos are very impressive and natural-looking) or not-so-much (poor Meg Ryan, for instance). Lastly, as promised, I will close this little post out with an FAQ, featuring the most popular questions you guys sent me via email or IG. Answers are from my own skincare guru Karen Adams. I trust her with my face and my health, because she is animal-friendly, does very thorough research, is very careful and natural, and is a well trained, highly-educated perfectionist. Enjoy! Learn! 1) What procedure would you recommend for acne scarred skin? SkinPen by far, since microneedling devices help to stimulate collagen production (to even out texture of skin) and results in little to no downtime. 2) What would you recommend for Melasma? Melasma is a tricky condition to treat because usually when melasma has occurred, there is already a dysfunction of melanocytes – the pigment producing cells – and it is caused by or made worse by UV radiation and hormonal changes, including birth control and pregnancy. I typically pair a non-hydroquinone cream with a 4% hydroquinone cream for a boost in lightening pigment, then add on a topical antioxidant like SkinBetter Alto Defense with infrared protection, and definitely mandate sunscreen or SPF 30+ that has broad spectrum coverage. At night, a retinoid is needed as well. And that’s just to start! 3) Are extractions using a metal tool good or bad? I thought we weren’t supposed to pop zits? Even metal extractors can cause damage to the skin, especially if too much pressure is applied or if the skin OR tool is not properly cleansed before use. Always better to have extractions done by a trained medical professional! 4) How often should I come see my dermatologist? It depends on the skin condition and risk. Skin cancer screenings should be performed every 6-12 months whereas individuals with acne may need to visit the dermatologist every 4-6 weeks until the acne is under control. 6) Favorite animal-friendly skincare line? SkinBetter! 7) What procedure makes the biggest difference in overall appearance? Microneedling is a fan favorite by far. Usually 3-4 treatments are needed and after each, you get a nice “glowy” look for a few days that makes you look so refreshed. Long term benefits are: a decrease in acne scars, reduction in fine and etched in lines, and just an overall boost in the firmness of skin. 8) Most common mistake you see as a dermatologist? Most common problem? Many times I’ll see patients give up on medications or products before they’ve been given enough time to work. Patience is important, good things will come if given enough time! 10) If you could give one piece of advice, it would be: Always, always, always use a good sunscreen with broad spectrum coverage and spf 30+ (EltaMD is a great start) and a retinoid. There are many prescription retinoids and retinoids sold in dermatology offices to pick from, so finding one that is perfect for your individual skin type is doable! I hope this post has inspired you to call your dermatologist and make an appointment– or to call mine, who I obviously love. Remember: our skin is our largest organ, and it is so important that we take care of it. « the ultimate gift for dog lovers, featuring Pop Your Pup!